In recent years makeup has excelled and become a form of creative expression among many people. The beauty industry is thriving today and is full of trends that change constantly. From these trends, opinions arise surrounding what justifies too much or too little makeup. Judgement and online trolling are just some of the repercussions that can have serious effects on a persons self confidence. We live in a society where people pass judgement and make cruel comments quite quickly, especially through online social media. We must aspire to be better, support each other and not be so quick to pass judgement based on a persons looks. I believe that makeup can be used as a tool to enhance self confidence regardless on whether it is a minimal makeup look or a dramatic, full coverage look. 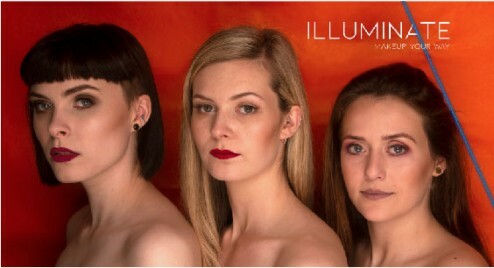 ILLUMINATE is a makeup brand that is based on empowerment, where women are encouraged to be unique and embrace their individuality. Using makeup as a tool to encourage creativity and furthermore boosting a self confidence that they may already have but enhancing by using as little or as much makeup that makes them feel empowered everyday. The illuminated line in the branding is a different colour for each model representing them as their own unique person. This reinforces my concept to encourage individual creativity. The illuminated line in the branding is a different colour for each model representing them as their own unique person. 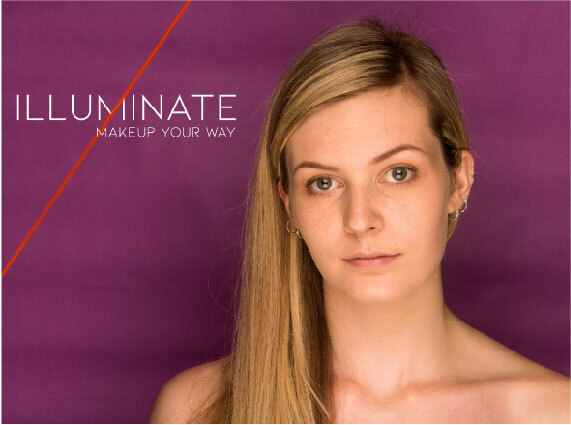 I photographed the models in both a minimal makeup look and a more dramatic makeup look to demonstrate that beauty radiates through confidence and makeup is the means to embrace it.